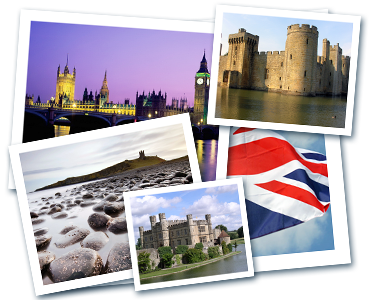 England - United Kingdom of Great Britain and Northern Ireland (the official name of the state) - is located on the north-west of Europe on the island of Great Britain. This state is bordered by the Atlantic Ocean to the north and west, the Irish Sea to the west and the North Sea in the east, on the south it is surrounded by the English Channel and the Strait of Dover. The United Kingdom consists of four administrative units: England, Scotland, Wales and Northern Ireland. The climate is temperate oceanic in England. The average temperature in January, the coldest month of the year, differs from +3 C to +12 C, the average temperature of the hottest month, July, is about 15 C - + 25 C.
Great Britain is a country with a highly independent economy, wonderful tourist destination with great historical heritage, culture and traditions. Having a property in England is a sign of high status and prestige. London is not only the capital of the UK, but also the capital of the economy, politics, music and culture in Europe, so the real estate in England is safe and liquid investment. Property prices in Britain steadily grow every year, also low-interest mortgages and favorable rate of the British currency (British pound) are attractive. There are the notions of a set of rights for real estate in England - leasehold and freehold. Leasehold is a right for real estate in England and the right to lease the land on which the property was built. If a property owner in the UK does not renew the lease property at the time, he may lose the right to use the purchased property. Freehold is a full ownership of the real estate in England and of the land on which it is located. Freehold is often attributed to the houses in England. There is also the concept of Share of Freehold - a partial ownership of land in England, that is, residents of a home pool their savings to purchase the land on which stands the house in England. Our company has been not only selling real estate in England but also renting it. Our exclusive service is renting castles in England. Renting a castle in Europe can come into your life as a fairy tale that allows tasting the privileges of the aristocracy. You can rent a castle in England for any event: wedding, birthday, New Year or just for a luxurious vacation!